The PNG is a nonprofit trade association composed of top rare coin and paper money dealers. The Professional Numismatists Guild now is accepting nominations for its 2019 awards, according to PNG Executive Director Robert Brueggeman and President Barry Stuppler. “Each year the PNG publicly recognizes outstanding achievements in the hobby and the profession by honoring deserving recipients with awards in a half-dozen categories. We cordially welcome and strongly encourage nominations from all collectors and dealers,” said Brueggeman. Committee Chairs: Richard Weaver and Wayde Milas. 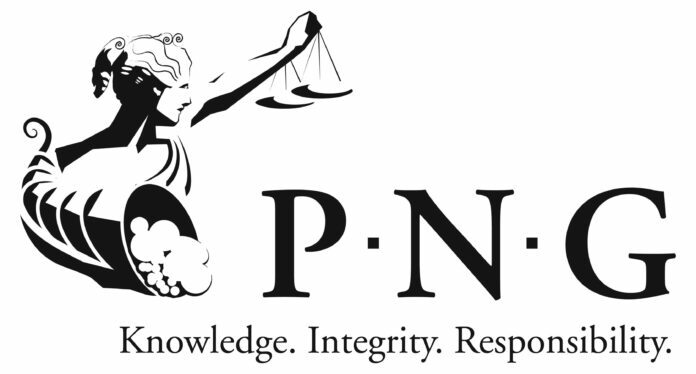 Sol Kaplan Award: To recognize efforts and contributions in combatting crimes against the numismatic community, this award is presented to someone who has given their time in an attempt to rid the profession of fraud and thievery. The award is jointly presented by the PNG and the Lewis M. Reagan Foundation. It is named after a former PNG President and Ohio dealer who was personally responsible for the apprehension of several people suspected of committing numismatic-related crimes. Lifetime Achievement Award: Presented to a numismatist for his/her extraordinary devotion to numismatics and who, over their lifetime, significantly contributed to the hobby or profession. Committee Co-Chairs: Brett Charville and John Brush. Significant Contribution Award: Given to those who have made exceptional, beneficial efforts over the years on behalf of PNG and the profession, and also added to the hobby. Committee Co-Chairs: Barry Stuppler and Dana S. Samuelson. Committee Co-Chairs: Don Ketterling and Don Rinkor. More information is available on the PNG website. A list of the PNG award winners of 2018 is available on CoinsWeekly. Highlights of the 2016 award banquet were released in a video on YouTube.